New Delhi, June 12 : India is committed to bearing the entire expenditure of Rs 2,500 crore to build the permanent campus of the South Asian University (SAU) here, Minister of State for External Affairs M.J. Akbar said on Monday. “Speed is essential because youth is impatient,” he stated. 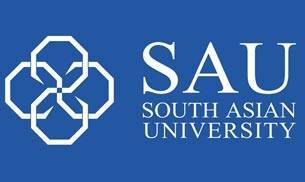 SAU is an international university established by the eight member states of the South Asian Association for Regional Cooperation (Saarc) — Afghanistan, Bangladesh, Bhutan, India, the Maldives, Nepal, Pakistan and Sri Lanka. The university, which started operation in 2010, is currently offering postgraduate and doctoral programmes in applied mathematics, biotechnology, computer science, economics, international relations, legal studies and sociology. Currently functioning from the Akbar Bhawan campus here, the university will eventually move to its 100-acre campus in south Delhi where construction is underway. In Monday’s convocation ceremony, degrees were conferred on nine M.Phil students and 185 Masters students while 11 students were awarded gold medals for their meritorious performance. 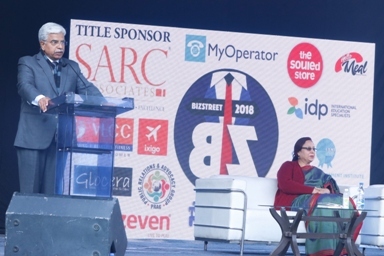 Stating that teachers remained the truly unsung heroes of civilisation, Akbar said the Saarc member states wanted to expand their regional horizons through knowledge. “The mathematics of knowledge is unique. It is the only thing that increases and multiplies when you give it away,” he said. The Minister also said that applications for admission to SAU have increased manifold for the academic session 2017-18 and added that this was proof of endorsement by the students. He said that while the 19th century was of dreams and struggles, the 20th century was of hope riddled with some amount of havoc and the 21st century is of fulfillment. He said that freedom, youth and gender quality were the pillars of modernity. “When we have social and economic empowerment, then only we can say that we are in the age of modernity,” he said. Nepal’s Ambassador to India Deep Kumar Upadhyay, who was the SAU Visitor’s Nominee at the convocation ceremony, said South Asia has the passionate aspiration for deeper regional cooperation, the aspiration for connected minds and connected markets, the aspiration for shared prosperity of the region and its people. 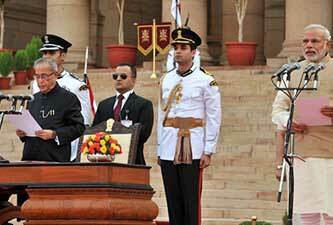 “And this university has been built upon the bastion of those aspirations,” Upadhyay said. He said the students who were conferred degrees would leave the university with greater responsibility: responsibility to steer the process of South Asian development to the destination of shared prosperity; responsibility to use the opulence of wisdom and innovation to fight against the deprivation and under-development that is eating away the potentials of the region; and responsibility to carry forth the message of peace, harmony and fraternity that have been the ethos of South Asia for ages.